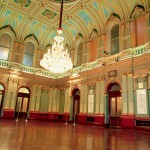 Book a tour of Sydney Town Hall. Use your own smartphone and download the app from the ‘App Store’ or ‘Google Play Store’ or when you book your tour of Sydney Town Hall, ask us to lend you a phone to use during your tour. At each location you visit, scan the unique Quick Response (QR) Code on your smartphone device. The relevant Auslan video and captions will appear on your device. You can choose a text only version or audio version of the tour information. Repeat the scanning process for each location to retrieve the relevant content. There are three phones available for loan, however larger groups can book a tour and bring their own additional phones. 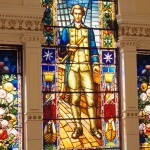 The videos below provide information about Sydney Town Hall in Auslan (with text captioning). 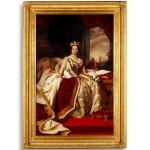 There is also an audio version available. 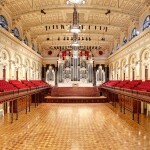 These videos were produced for the OpenAccess Tour of Sydney Town Hall. 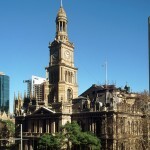 Sydney Town Hall was built between 1868 and 1889 and is made of Sydney sandstone which has a distinctive honey colour. The sandstone was quarried in Pyrmont and carved by stonemasons who created the many columns and decorative features on the outside. 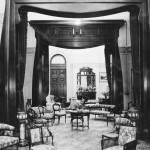 Regarded as one of the most significant Victorian interiors in Australia, the Vestibule is a lavish combination of crisply detailed plasterwork inspired by Neo-classical and Moorish architecture. 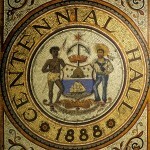 The City has traditionally commemorated significant events in Sydney by creating large plaques which are installed on the walls inside Sydney Town Hall. 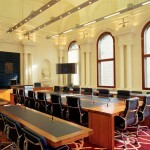 Sydney Town Hall is the official 'home' of the Council of the City of Sydney, the local government authority responsible for administering the affairs of the City of Sydney. 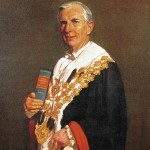 Sydney Town Hall has a large collection of portraits of Mayors and Lord Mayors who have served the City. 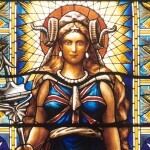 The South Stairwell is dominated by another large stained glass window which features a figure of a woman who represents the colony of New South Wales and celebrates the centenary of New South Wales in 1888. 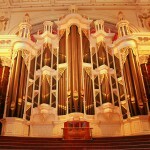 Did you know Sydney Town Hall is built on an old cemetery? 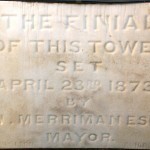 The site was cleared in 1868 so Sydney Town Hall could be built. 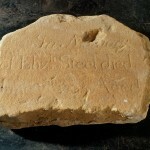 The headstone of Elizabeth Steel, the first known person with a hearing impairment in Australia, is preserved here.